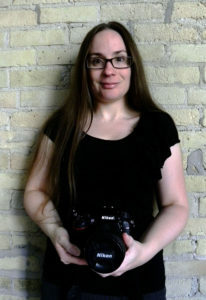 Cheryl Dumoulin resides in London, Ontario where she began her journey as a nature and wildlife photographer. From a very young age Cheryl developed an appreciation for nature and the outdoors which originated from her grade school field trips to Guelph Lake. She has also always had an affection for wildlife which began with visits to Kortright Waterfowl Park in Guelph, Ontario. As a child, taking photos also became another one of her hobbies beginning with her first film camera all the way up to her first digital camera. Cheryl would carefully use each roll of film and put creative thought into each picture she took. It was only a matter of time before she combined her love of being outdoors in nature with her passion for photography. So at the end of 2016 she purchased her dream camera and in 2017 she launched her photography business. Cheryl hopes you enjoy her website and she encourages you to connect with her through her other profiles on social media.